As with any other get-together, the crowd trickled in, grabbed drinks and started kibitzing. It got a little hot, the extroverts got loud and the introverts slipped away to their corners. Katie played the first note on her fiddle, and a hush fell over the crowd. The house filled with the vibrant sounds of her Texas swing, and all at once the creative, interactive energy of live music infused the band and enthralled the crowd. My living room might seem like a strange place for the talented Katie, two-time national fiddle champion, maybe the leading Texas swing voice of our time, and highly-sought-after festival act. 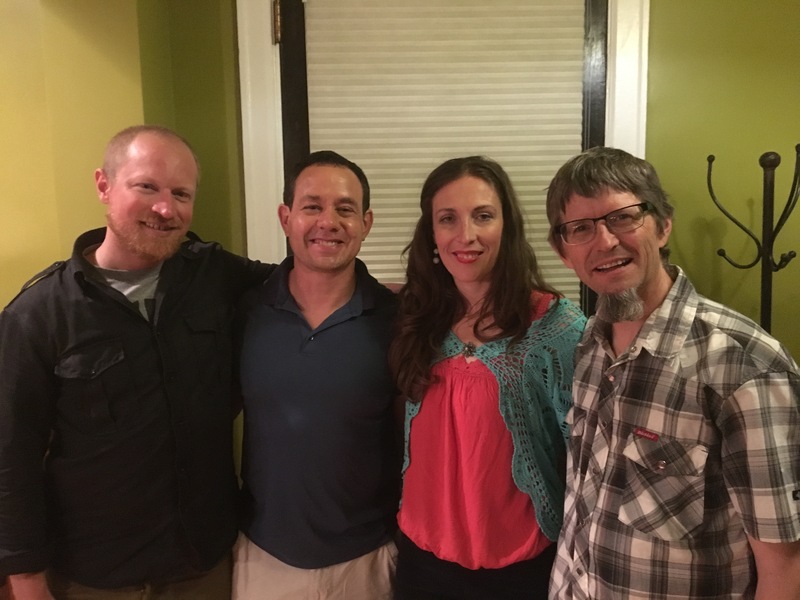 Over the last few years, I’ve been fortunate to have many of Colorado’s top musicians play for my friends and family, including Jayme Stone and The Other Side of the Air (two-time winner of Canada’s Juno award for best jazz musician), The Matt Fuller Group, The Tom Gershwin Quintet, The Matt Skellenger Group, and I look forward to hosting Maestro Miguel Espinoza next month. Intrigued? Here are some of my key principles to getting a top music act booked at your house. So, ask them. This may seem like a simple concept, but I think it’s actually the hardest one to break through. Some of the people you’re most interested in might not get as many invites as you would assume. But you still don’t know that until you actually ask. This principle seems to have worked out for me in a variety of contexts, particularly when organizing conferences for issues I’m passionate about. When I was working on a team organizing an economic development conference in Rio de Janeiro, we called many of the world leaders in the space, and…they came. I assure you it wasn’t because we were well-known or well-funded (though the event being in Rio probably helped). Same thing happened when I organized the Innovating Social Change conference at my business school, which ended up being a great reason to call any social impact leaders I’d been following—and they showed up too (and that wasn’t Rio at all). And again when a professor tasked me with interviewing a manager who inspired me, I didn’t really have one at the time so I called David Byrne of the Talking Heads to see if he’d talk to me about his world music label, Luaka Bop. He wasn’t available, but his partner, Yale Evelev, agreed to meet with me in New York. We ended up having a fascinating discussion. 2. Find them new networks. Musicians usually play to fans who already know them. Their goal, like every business, is to find the next wave of customers and expand their reach. By offering up a crowd of 50-60 new potential fans, I’m presenting something of great value in itself. I do ask my friends for a contribution for the band at my living room concerts, but there’s no bouncer or cashier. We put out an honor-system cash box at the front door for the band. That, and I provide lots of drinks and dark-chocolate covered pretzels.. In addition to playing for new people, the principle of doing something new and out of the norm is also a great way to motivate people’s decision-making. As Jonah Berger writes in Contagious, people’s desire to share stories (especially cool, funny, interesting stories) is a kind of social currency in human relations. Doing something “remarkable”, as he writes, or just different, is a great way to engage people for meaningful interactions, even after the show’s over. 3. Surround them with people who share their passion. 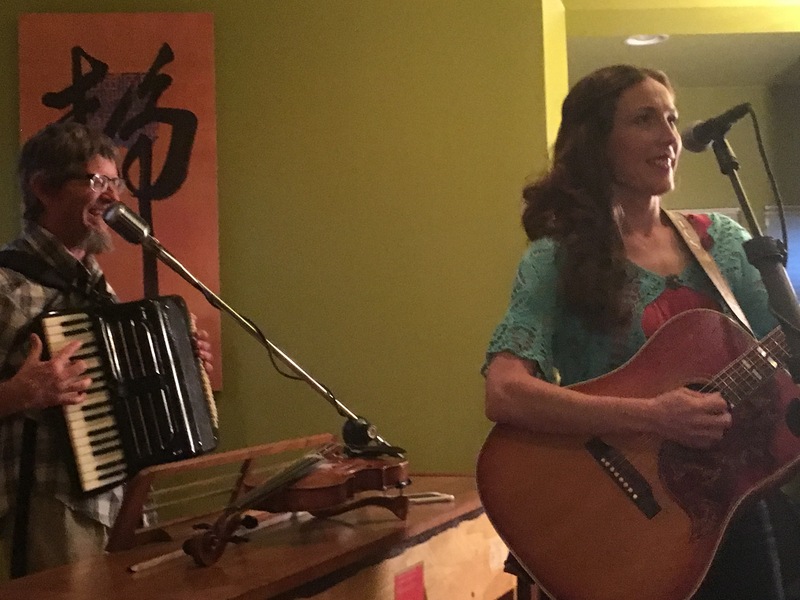 A house concert is intimate and everyone gets involved with the music. That means the room is alive and bouncing. Too many amazing musicians have to make rent by playing music behind people chatting over dinner or an espresso machine, so 90 minutes in a room with a rapt audience is heaven. Musicians dedicate their life to their music to make people feel great, excited, and alive, all while doing what they love. Some of these bands have up to seven musicians playing with them. For example, Matt Skellenger brought a pedal-steel guitar, a trombone, trumpet, two tablas, a full drum kit, electric bass, and even a conch shell. When that many musicians come together to get exactly the sound they want, their dedication is clearly to the music and not the money or the easy logistics. (Matt Skellenger Group, 9/23/16). One more percussionist, and we’ll need a bigger living room! Even if you can’t pay people what they deserve, you can find a way to share something else they might value instead. Marketing has always been about finding new audiences. The hot trends for doing so sway back and forth between tightly-focused direct marketing that makes a specific and immediate offer about your product or service, and broadly-focused brand marketing that projects an idea of your company that’s meant to influence future decision making about your product or service. Targeted, direct offers generally come with a clean-cut return on investment (ROI) equation, meaning you can measure how much of your budget it took to sell X number of widgets. This is awfully nice and very comforting to CFOs and marketers alike. The drawbacks are that direct marketing can feel pushy, and when the trend sways, like in the current market, it can also be quite expensive. Brand marketing has always been more fuzzy on the ROI per campaign, but the need to do it is clear or you might not have an ROI at all. For example, just the sight of the Nike Swoosh makes you feel like you’ll run faster and jump higher. Fast-forward to the mid-2000s, when inbound marketing took off as paid advertisements in search engines were becoming restrictively expensive and prospective customers were downloading pop-up blockers faster than you could click on a dancing monkey. And, the average digital consumer was making more and more critical buying decisions through search engines, researching reviews, and based on which company annoyed them the least with sometimes loud, misaligned, wonky advertising. Which brings us to content marketing. It’s an ideology based on inbound, the idea that the consumer on a search engine will come find you if you present blogs and other pieces of content, like educational conversation pieces. You get the internet consumer interested in you by sharing your knowledge, ideas, and enthusiasm as often and authentically as possible. Many will like your stuff. Some might not read it. Some will become customers. Some will just be happy that you provided them something useful. Kind of the commercial version of building good karma. Content marketing at once feels like a throwback to strictly brand-oriented marketing, and yet somehow fresher—engaging your future customers with useful information when they’re looking for it, so that one day when they make a purchase decision—they’ll think of you and your helpful, informative conversation pieces. I have the privilege of running a company that helps all kinds of online companies benefit from content marketing—we’re helping them get their stories out when constantly writing and developing content becomes too big and unwieldy. In many ways it’s quite similar to why amazing musicians are willing to play in my living room. I invite them in, help them pair their passion with new potential fans, and create an environment where the energy and momentum builds. 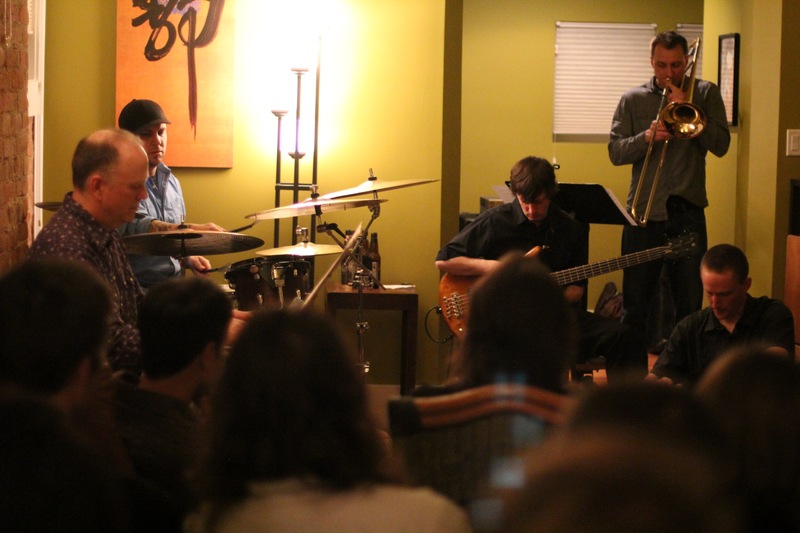 To shift your thinking and marketing campaigns to reflect an inbound, modern marketing strategy, it’s simply a matter of applying the ideology of booking living-room jazz concerts. Don’t be afraid to put yourself out there. Someone, somewhere is really interested in your opinion on the best forklifts, or your strategies for giving dentures a longer life, and when your blog pops up in their search, they’ll remember you. Or, maybe you might be interested in reading why I’d rather be a Peet’s Coffee than Starbucks company any day. Find them new networks. Whether this is a room of 50 newbies to Latin jazz, or connecting your architect business contact to a cross-branding opportunity with a wood finisher, you can market to different, more segmented groups. Surround them with people who share their passion. If you build a room of great people, good things will happen. You may not necessarily be getting your digital contacts ‘in a room’ together in the same way as a living room concert, but enthusiasm and curiosity can travel across any medium—podcast, blog post, social media update, or even a company motto. So go out there, get your geek on, blog unabashedly about the nichy-est niche topic in your corner of the world, and invite a jazz band over for dinner. Me, second from left, geeking out to get my picture taken with Katie Glassman & Snapshot.